San Antonio Spurs prevailed in Game One against the Denver Nuggets, but who will improve? Tuesday night will see the San Antonio Spurs continue their 1st round playoff matchup with the Denver Nuggets at the Pepsi Center in Denver. The Spurs stole a road victory in game one knocking off the Nuggets 101-96. The Nuggets had the better overall record by six games and the Spurs were 7th in the West, winning only 16 games away from home this past season. On Saturday night, the Spurs enjoyed balanced scoring with five players recording double-digit point figures, led by DeMar DeRozan with 18, while LaMarcus Aldridge and Bryn Forbes both had 15 apiece. 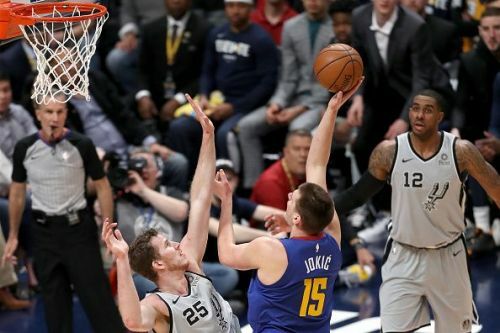 The real imbalance in that game was the bench scoring: the Spurs had 31 to the Nuggets' 22, ultimately winning by five points. Rudy Gay had 14, while Marco Belinelli had eight - they were judicious from long-range, shooting an outstanding 46.7% on 7/15 three-point attempts. If they are to get back into this series, the Nuggets will need to shoot much better. Greg Popovich is expected to start Bryn Forbes, DeMar DeRozan, LaMarcus Aldridge, Jacob Poeltl and Derrick White. The Nuggets should start Will Barton, Nikola Jokic, Paul Millsap, Jamal Murray, and Garry Harris. The Denver Nuggets shot the ball poorly in game one of this series. 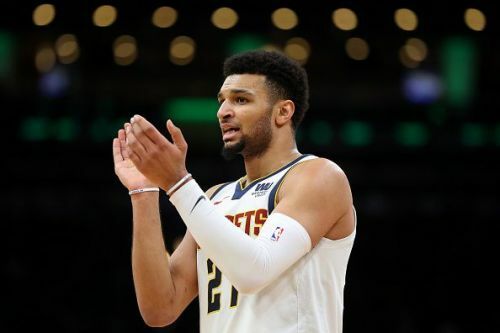 Not only were they 6/28 from behind the three-point arc, Jamal Murray was 8/24 from the field (33.3% overall) and 0/6 from three-point range, managing to score 17 points. Will Barton was also ineffective - shooting 40%, despite having 15 points and 10 rebounds. During the regular season, the Nuggets were only 20th in the NBA at scoring the basketball with 110.7 points per game so they need their top players to be producing on a regular basis. In game one, they were 14 points below their season average and need to make more of the shots they take. Their lack of scoring is puzzling, since Nikola Jokic is a master passer who dishes out assists and excellent passes galore with ease. He had a triple-double in game one, with 10 points, 14 rebounds and 14 assists. The 37 made field goals in game one is nearly five less than the Nuggets averaged per game this past regular season. The Spurs will need to continue getting strong play from DeMar DeRozan and LaMarcus Aldridge. Both were well below their season scoring averages - DeRozan had 18 points and 12 rebounds, though he averaged 21.2ppg. Aldridge meanwhile averaged 21.3ppg, but scored just 15 in game one. Just like the Nuggets, the Spurs were not a super high-scoring team. They averaged just 111.7ppg, which ranked them 18th across the league. Since the Nuggets were sixth in opponents scoring, proving they are a good defensive team, it's clear the pair must work hard to continue their scoring averages up throughout the series. 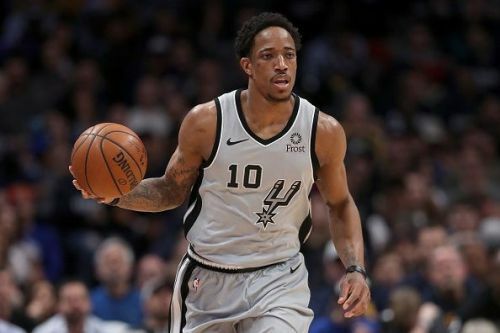 The Spurs have also been relying heavily on DeRozan to create their offense, as well as to score points himself. He had six assists in game one, but needs to watch the turnovers as he had four on Saturday - an area they need to improve upon, having had just 20 assists on 47 made field goals, but equally 11 turnovers in game one. 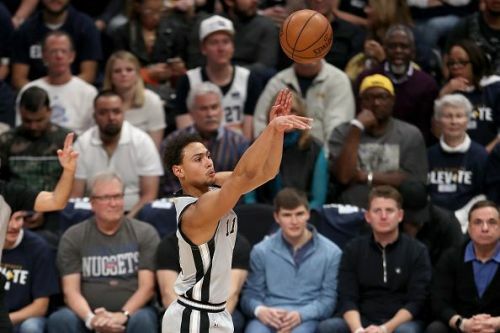 The Spurs are more experienced, while the Nuggets are young and this edition of their roster is new to the NBA playoffs. 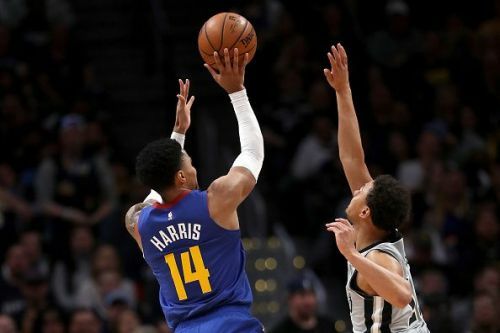 Now they have experienced playoff basketball for the first time, expect the Nuggets to defend homecourt Tuesday night, beating the Spurs by a five-point margin.